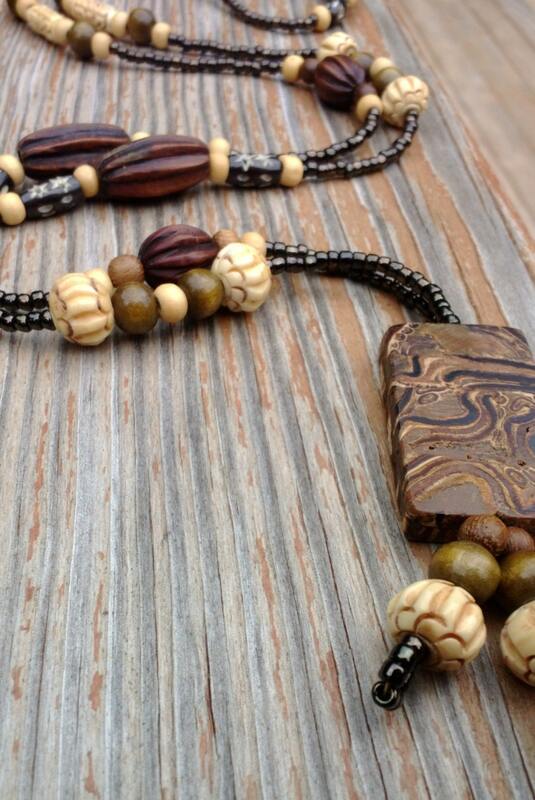 A beautiful, long length, natural looking, wood beaded necklace is what you get in this one! The detail and depth of the hand painted and hand carved beads used in this necklace, make it truly special in its level of uniqueness. Nature...earthiness...purity...that's what I feel when I wear this one! One of my original pieces and when I ask my repeat customers which necklace is it that you love to wear the most? It's usually this one. 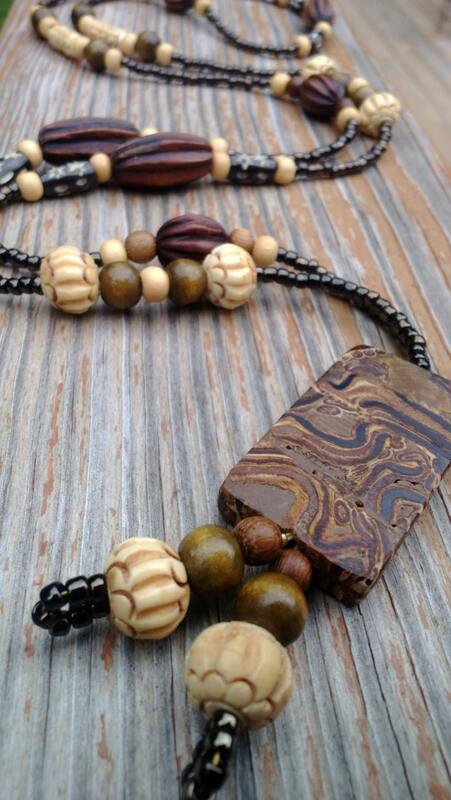 Works great with shades of brown, earth tones, and any time you want that natural look. This piece has a no-clasp design. Just drop it over your head, and you're good to go! Total necklace length : approximately 43 inches long. **There are two beads in this necklace that are no longer available with my supplier and I cannot find them anywhere. So, I am sad to say that once my inventory runs out, I will not longer be able to make this exact necklace.